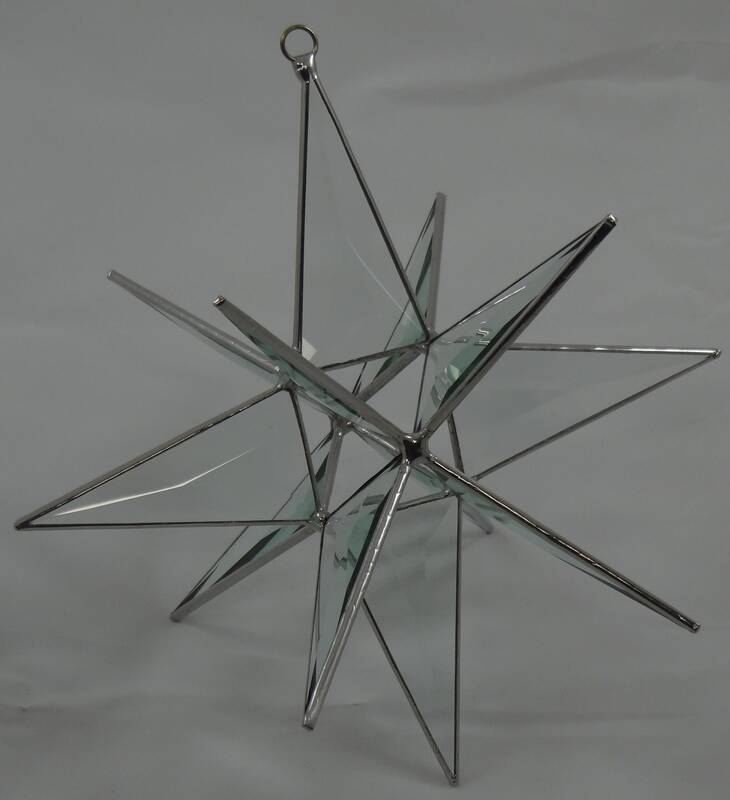 This beautiful 12 Point bevel star is handcrafted in our stained glass studio formerly located in Bethlehem, Pennsylvania. 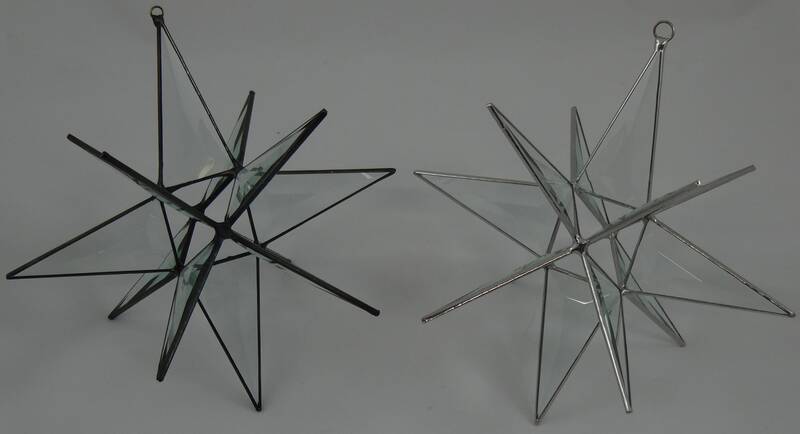 The star measures approx. 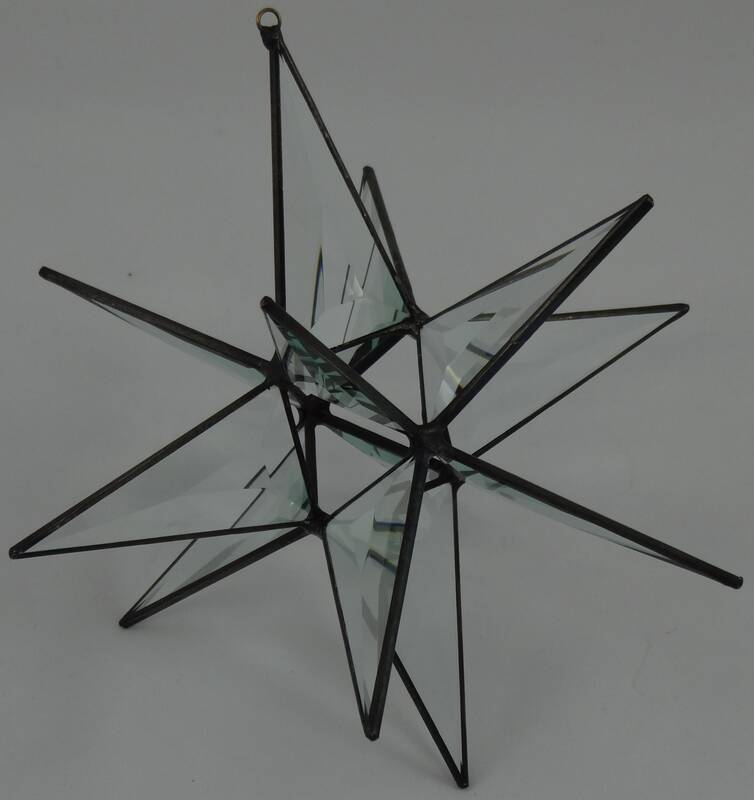 7 3/4" in diameter and is crafted with clear bevel glass.